The Leuchtturm 1917 is perfectly competent. It’s slightly larger than a Moleskine, when a notebook should be, if anything, slightly smaller. This is a small point. The paper quality is, to my eye and hand, indistinguishable from Moleskine’s, which in turn is very similar to Guildhall and most of the other non-Rhodia notebooks I’ve tried. 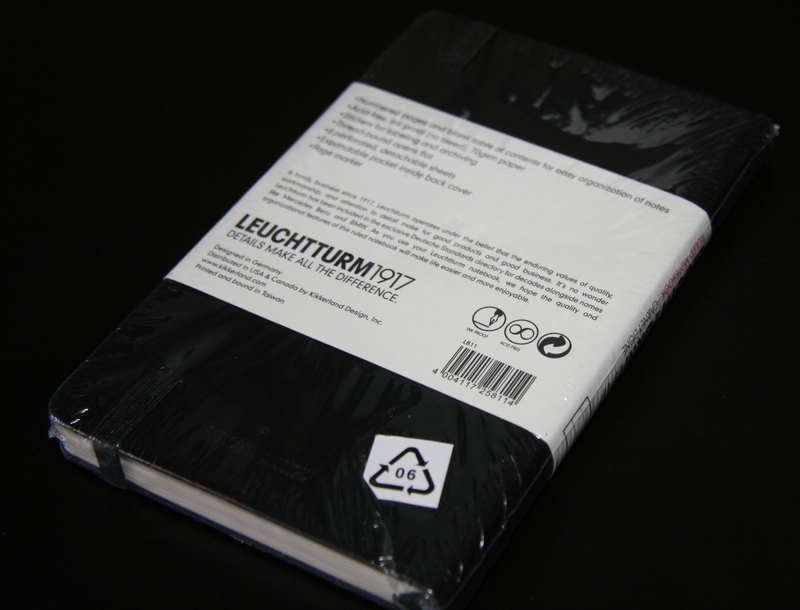 It has one other annoying feature: the last 30 or so pages are perforated; this is another way of saying, “They’ll eventually fall out.” If you’re the kind of person who wants to desecrate your notebook by tearing out pages, then the Leuchtturm 1917 is for you. To be sure, perforated pages are a minor annoyance. But if you’re not trying to avoid minor annoyances, stick with Moleskines, since they’re widely available. The only major problem with the Leuchtturm 1917 simple: it doesn’t offer any major, obvious improvements over the Moleskine. It doesn’t offer any real disadvantages, either, other than its departure from the canonical 3.5 x 5.5 size and the perforated final pages. Unlike the Quo Vadis Habana, however, the Leuchtturm 1917 isn’t so much larger that carrying it around becomes a chore. If this review seems slight, that’s because it is—the differences between this notebook and a Moleskine are trivial. They experience the same corner tearing, although I didn’t use the Leuchtturm long enough for the tears to develop into the cover partially coming off. If you’ve used a Moleskine, you’ve already in effect used this notebook; both are decent, but neither beats the Rhodia Webbie. I think table of contents and page numbers are an improvement over Moleskine. Why number pages by hand if you don’t have to? I’ve actually never numbered pages. The paper quality in the Leuchtturm1917 is much better – you can write on the backside of a Leuchtturm1917 page in roller-ball without annoying bleed-through. I dont number pages either but like that its there and not overpowering – subtle. With a blank index if you want to use it. I dont on everything – but I use it for some things I want to make sure to find later. also subtle are the line weights on the Leuchtturm1917. not heavy. 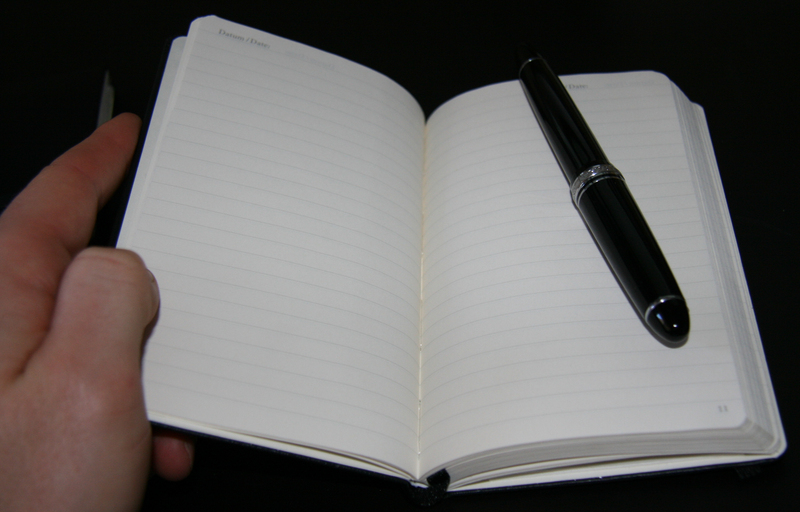 Moleskine lines are very heavy – I prefer little to none. The dot-patterned notebooks are really cool to use. The colors available in Leuchtturm1917 are a nice difference too. I’m always looking to buy from a company that doesn’t produce everything in China. Moleskines are made in China (always have) Leuchtturm1917 are made in Taiwan. I’ll go out of my way to find one. *disclaimer if you want it – I have worked with both companies and certainly prefer the nice folks at Leuchtturm1917. They always listen to their customers and associates no matter how far away, and are super good to work with. Maybe—but I’m not convinced: they seem equal to me. Moleskine paper quality also appears to be more variable than it used to. If you’re looking for notebooks made outside of China, the Rhodia Webbies are apparently made in France. 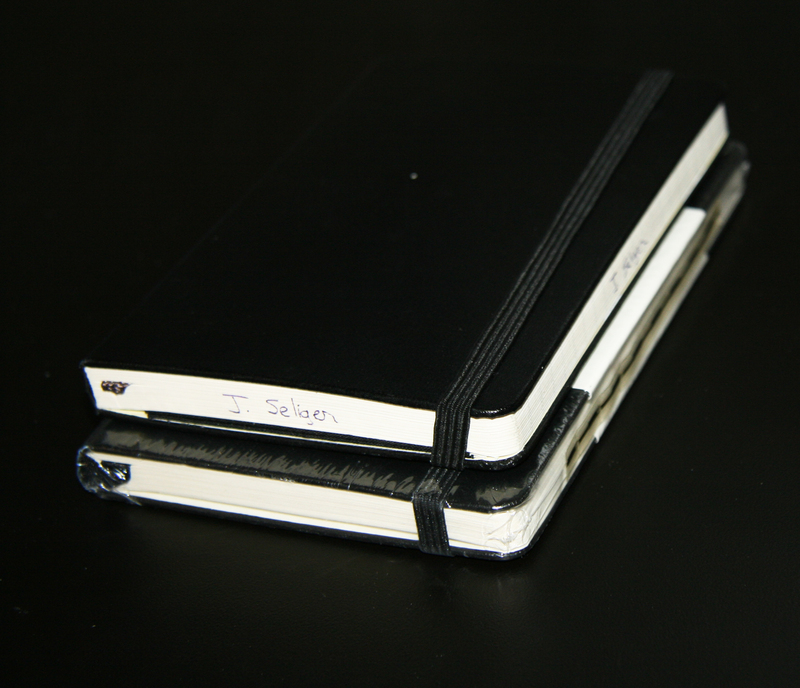 moleskin started in 1997, leuchtturm in 1917. How could it offer improvements on something 80 years younger? thats like complaining that a nokia 3210 doesn’t do more than an iphone. Yeah, Moleskine and Leuchtturm are two sides of the same coin. The Rhodiarama notebooks are far superior in my evaluation of them all over the past 5 years or so.